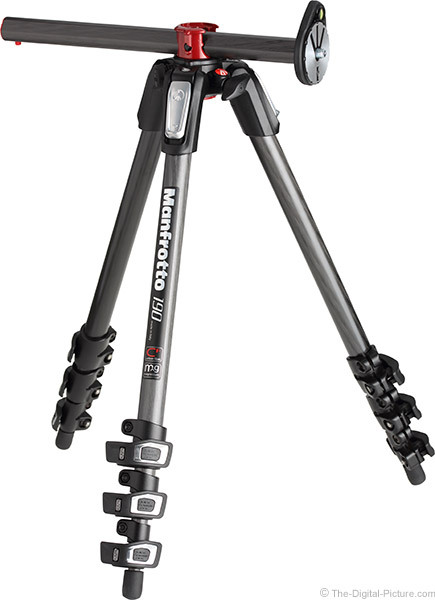 Other than being constructed of carbon fiber, the Manfrotto MT190CXPRO4 Carbon Fiber Tripod is practically identical to the Manfrotto MT190XPRO4 Aluminum Tripod. 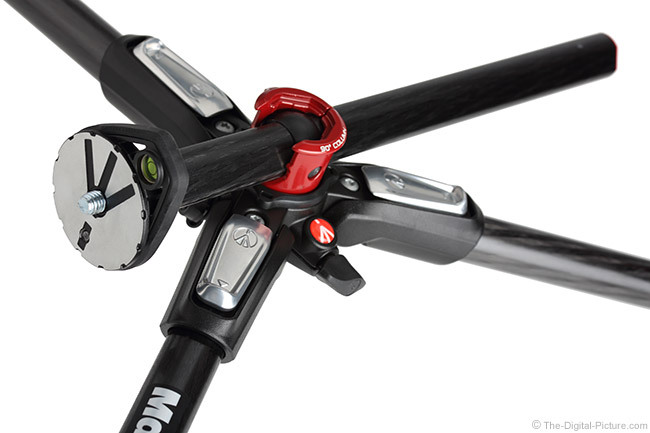 I will spare you a repeat the discussion of the innovative features shared by these tripods (read the other review), but will instead focus this review on the differences in the carbon fiber model. 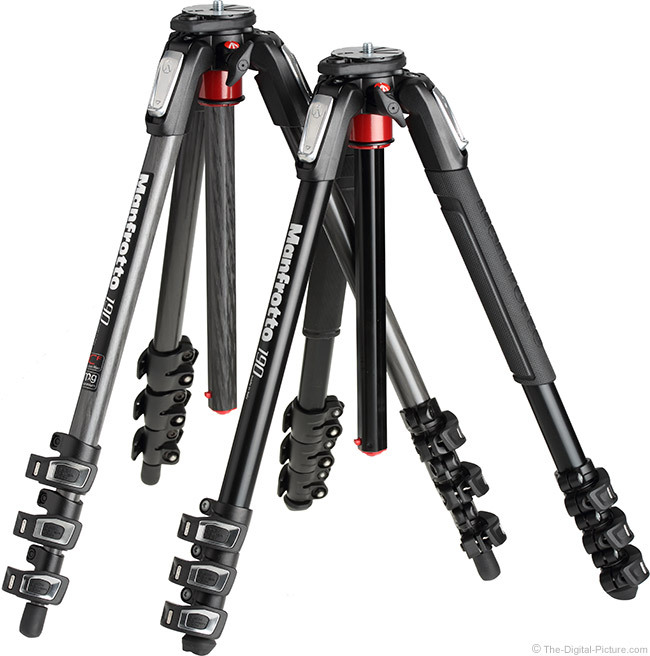 Will you be carrying your tripod? Will you be flying with your tripod? Those are two scenarios when weight matters and lighter weight is a primary reason to select a carbon fiber tripod model. Below is a specification chart that includes the weight differences between the 3 and 4 section Manfrotto MT190 series tripods. The 1 lb (.5kg) weight difference in the 4-leg-section models is definitely noticeable and the weight difference in the 3-leg-section models is only slightly less. You are going to feel the difference after carrying your tripod any length of time and your luggage is going to be harder to keep within weight limits if traveling by air with an aluminum tripod model. Another benefit that carbon fiber enjoys is reduced vibration. This difference is noticeable in side-by-side testing of the Manfrotto MT190 models. I used lenses as large as the Canon EF 600mm f/4 L IS II USM Lens on the MT190 tripods, but suggest that you use 500mm f/5.6 or 300mm f/2.8 lens as your retracted Manfrotto MT190CXPRO4 Carbon Fiber Tripod load limit guideline. I suggest limiting use of this tripod to mid-sized lenses up to 300mm when fully extended with the center column retracted. As the center/rapid column is extended, vibrations are noticeably increased until I would reduce the max focal length guideline by 100-150mm at full column extension. With a mid-sized 300mm lens (f/5.6 on a telephoto zoom lens for example) mounted on a fully extended, column retracted tripod, the carbon fiber model showed noticeably less vibration than the aluminum version. Vibrations consistently remained 50-100% longer in the aluminum version with the 300mm lens mounted. My guideline suggestions for the aluminum model were at least 100mm less than those for the carbon fiber equivalent. Aluminum has a lower coefficient of friction than carbon fiber and the smoothness of the legs and center column reflect this. The difference is not big, but there is one. Open the leg locks on an aluminum model and the leg sections easily gravity extend. That is not the case with the carbon fiber model. The smoothness of aluminum also makes it harder to grip when wet. Manfrotto addressed this issue along with the stronger heat transfer properties of aluminum by including a pair of very nice rubber grips on the aluminum models. Aluminum dents and bends while carbon fiber breaks. Neither is good and the latter is less likely, but dented and/or bent may remain usable. Also for consideration is that aluminum is susceptible to corrosion - especially if used in/around salt water. Other metal parts on the carbon fiber model's legs may also be at corrosion risk. Most of us will find aluminum's biggest advantage to be price. The cost of the MT190CXPRO models over the MT190XPRO models is not small. Those on a tight budget are likely to find the carbon fiber’s incremental investment over the aluminum version a significant barrier to consideration.. 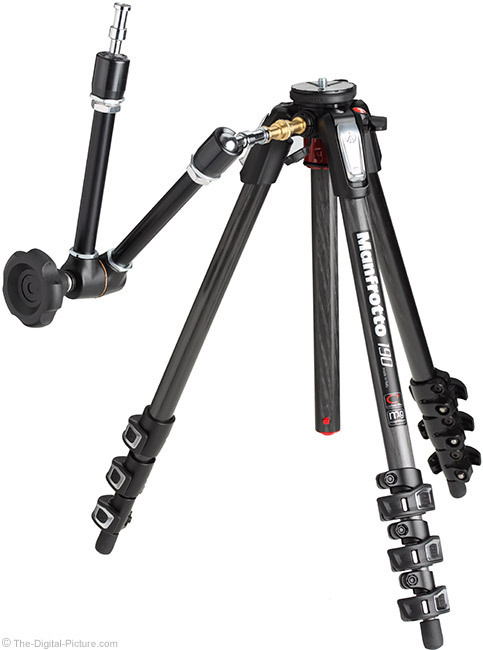 There are significantly lower cost carbon fiber tripod models available in the Manfrotto 190 Series, but the MT190CXPRO4 is the most-advanced model. If the MT is over your budget, it is possible that one of the other models may work fine for your needs. That the Manfrotto MT190CXPRO4 Carbon Fiber Tripod is not significantly lower priced than the less-featured but much-stronger Oben CT-2491 leads me to suggest the Oben model for those with plans to use heavier, longer focal length lenses. Of course, prices change over time and you need to check the current price to determine what is the best value for you. 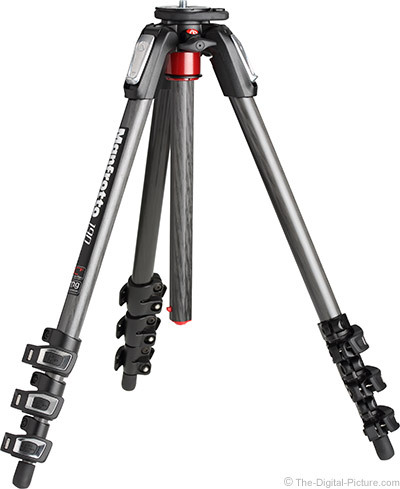 The Manfrotto MT190CXPRO4 Carbon Fiber Tripod combines innovative, quality design with great functionality. 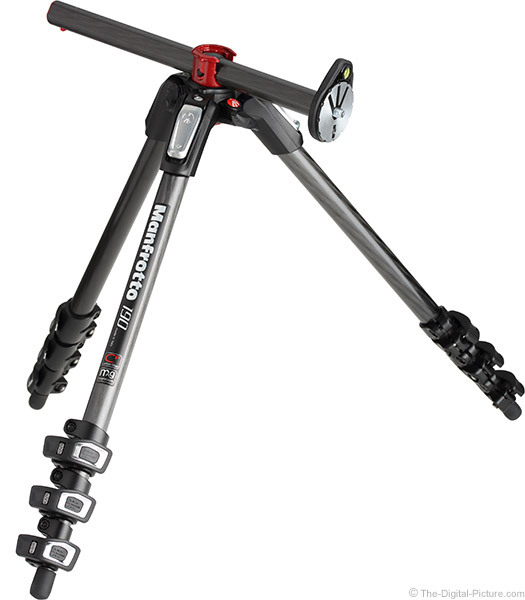 If its capacity covers your needs, the MT190CXPRO4 is a tripod you will enjoy using.